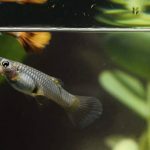 Feeding vegetables to your Guppy and Livebearer fishes is important since they are omnivores so they need the vegetables and the meat. 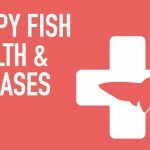 Your Guppy and Livebearer fishes can develop nutritional deficiencies if they are only feed protein meals such as Brine Shrimp. 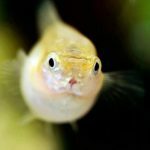 However, not all Guppy and Livebearer fishes will go for vegetables, just like humans some are picky eaters! Toss some into your aquarium tank and see if they’ll go for it. Fresh vegetables keep your Guppies and Livebearers Fish a little bit healthier if you are able to provide some variety in their diet. Although some commercially available pellets or flake foods do contain vegetable ingredients, you should try and provide fresh vegetables so you can limit the amount of processed fish foods consumed. 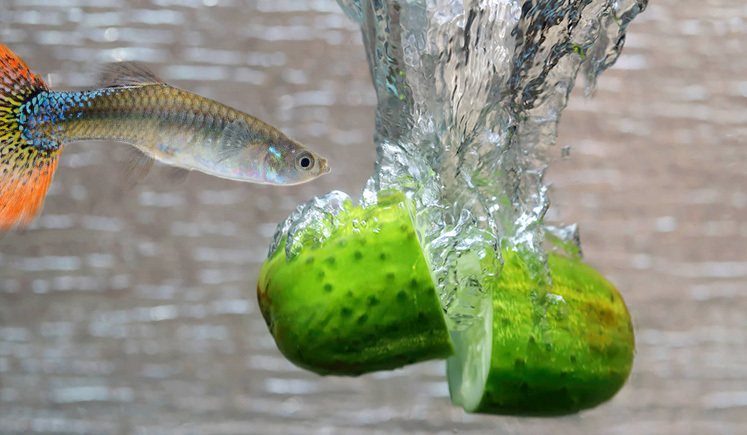 Try to avoid feeding your Guppies broccoli, cabbage or anything that smells like onions, and the jelly parts in tomatoes or cucumber (the solid part of these vegetables are fine). Otherwise, these types of vegetables can contaminate your aquarium tank and start fouling the water quickly. 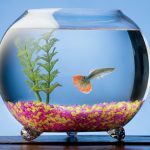 Try to remove any vegetables left in the tank after three or four hours as after this time they have lost most of their taste so the fish are less interested in them. The vegetables will also go slimy and start fouling the water. Hard vegetables like carrots can be left for up to 12 hours. You can use a vegetable clip to keep your vegetables in place on to the side of your aquarium tank. It’s essentially a clip with a suction cup that holds your vegetables in place. Otherwise they might start float around and it’s harder for your fishes to get a nip at it and they’ll give up. They should be available at your local fish pet store or you can also purchase these vegetable clips online. 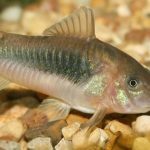 TIP: Peas can be used to relieve constipation in any fishes, so even if you do not regularly give your fishes’ diets with plant matter, it also works great as a “home remedy”. Cucumber / Zucchini / Tomatoes — Wash it, remove the jelly bits and the seeds, cut into small slices and put it in the aquarium tank. 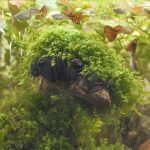 Lettuce / Romaine lettuce / Spinach — Wash it, just rip them by hand and put it in the aquarium tank. Feed fresh, cooking not required. Or alternatively, you can also blanch it by boiling it for a minute before tossing them into your aquarium tank. Peas (Fresh or Frozen) — Drop into boiling water for about 1 minute to soften them, then peel off the shell before tossing them into your aquarium tank. Sweet Corn (Fresh or Frozen) — Drop into boiling water for about 1 minute to soften them before tossing them into your aquarium tank. Potato / Sweet Potato — Cut grooves into it with a knife so there’s something for them to grip, and diced into very small bits. Carrot — Dice pieces to small bits. Drop into boiling water for about 1 minute to soften them before tossing them into your aquarium tank. Pumpkin — Serve raw. Cut into small pieces and put it in the aquarium tank. Bell Peppers (Green / Red / Yellow / Orange) — Cut into small pieces and remove all the seeds. Blanch it by boiling it for a minute before tossing them into your aquarium tank. What favorite vegetables do you toss into your aquarium tank for your Guppies to eat? Let us know in the comments below.